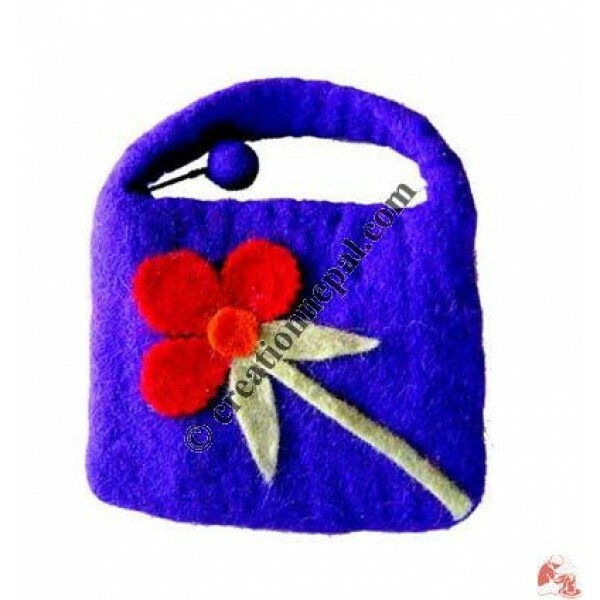 Felt hand made evening bag with zipper. It is decorated with cute little flower. Strap length 7 Inches.